Download LabyMod now completely for free! With the LabyMod installer the LabyMod will be added to Minecraft with only a few Mouseclicks. Additionally, you can add a variety of extra mods if you want. You need Java for the installation. Click here to download. - We improved the Super Secret Settings selection. You can now easily switch between shaders without clicking through the whole list. - We added profiles to the module editor! 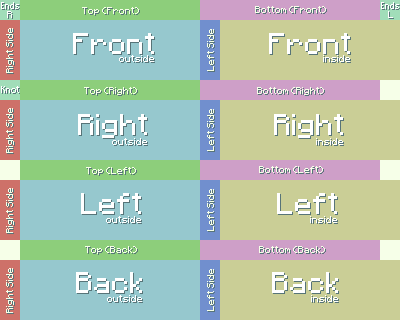 You can now save different module settings for different Minecraft servers. - You can now reset the module editor configurations to default directly ingame! - It's now possible to add a background and padding value to all text and item modules. - All modules are now individually resizeable. - We implemented an emote API to force emotes to NPC's serverside! - We finally added the Server Switch Packet! - The size of the subtitles can now be changed. - Switching the perspective no longer disable the selected shader. - The selected shader is now still activated after a restart. - You can now change the shortcut to toggle the hitbox. - You can now filter action/event messages in chat. - The emote selector and user action menu fits now to the monitor resolution. - Added new flag textures for the Hat cosmetic. - Cosmetics should no longer invisible for no reason. - Discord Rich Presence should work now on linux. Yeah! - The permissions will now reset after changing the Minecraft server directly in the game. The red nose can now be moved up and down. The head should no longer dissapear while playing an emote. The chat animation works now correctly with different chat scales. Fixed oxygen bar overlapping with the saturation bar. We've implemented a smooth chat animation, which is disabled by default. And for Christmas we've added three new cosmetics to the game: a Santa beard, reindeer antlers and a red glowing nose! Preventing Minecraft serverlist timeouts after starting. Fixed some missing textures in the module editor. The alternative player menu key option is now a primary key. We have added a name history function to the player menu! An option to disable the animation and to change the hotkey of the player menu. The global chat should no longer disappear when you add more rooms. The VoiceChat has been improved again. We improved our crash reporter! Our VoiceChat got a complete nice fresh clean super duper high end recode! Lags and other problems should be gone forever!! - We added super fancy and animated emotes to Minecraft! - Cosmetics updates are now live for everyone. You no longer have to press that damn refresh button. Yeaah! - We added a LabyMod user indicator. You can now stalk all LabyMod users on the server! - Namehistory got a nice fresh recode. It's no longer on the top right, it's at the bottom right corner instead! - Discord Rich Presence is FINALLY here!! Servers can access it by using our superduper high intelligent API. - We added a shortcut tool to replace words in the Minecraft chat field - So you can avoid insulting users and change the word "stupid" simply to "amazing". You are so amazing!! - We added an out of memory warning and you can also increase your memory directly ingame. Cool, isn't it? - We fixed a resourcepack exploit in Minecraft Vanilla 1.8. Evil servers can no longer access your computer by searching file names >:). - The inventory 1.7 animation is now also available in creative mode. - We added the old backwards walking animation in 1.12! - Achievement notifications can now also appear in the main menu. - The ping module can no longer display negative numbers. This is amazing right? - Fixed some Teamspeak stuff. - The Optifine versio number will now be displayed in the addon store. - Our crash reporter got some nice improvements. This might help you guys, if you have trouble with crashes just submit your crashlog to us and we will deal with the rest. Let the fight against crashes begin! - You can now hide the X and Z coordinates. - VoiceChat - Can you hear me? - Minimap - From the top the whole thing looks quite different! - Spotify - Music is love, music is life! - Controller - Do you ususally use controllers? Try it out for Minecraft! - We finally added an addon development packet. Addon developers can now share messsages between each other without an external service. - Implemented a click listener in the addon settings GUI. That might be interesting for addon developers. - Subtitles! Servers are now able to display custom subtitles below the playername. But it's bound to the server only! - ControlElements can now have a blocked state. Necessary for permissions and stuff like this. - Our debug system got some nice improvements. For example a "Restart in debug mode" button!
! LabyMod 3.0 coming soon! + custom capes for .png and .jpg!